Posted on Mon, Mar 26, 2012 : 4:03 p.m. The Green Oak Township Board of Trustees will meet Thursday to decide the fate of the Barnstormer Entertainment Complex after inspectors determined the wedding hall had violated numerous township codes, flouted permitting requirements and spurned state regulations. The Barnstormer Entertainment Complex is located on Nine Mile Road. The board will decide how to act after "Barnstormer general manager Rob Cortis had failed to meet any of the requirements of a mid-December order to address fire-code and safety-code violations at the business," the Livingston Daily Press & Argus reported. The township is reportedly seeking legal counsel to decide how it can force a resolution of the Barnstormer dispute. 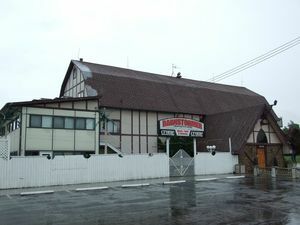 Wedding plans for a number of engaged couples were disrupted in spring 2011 after the township reduced Barnstormer's capacity as a response to the inspectors' report. The banquet facilities at the 25,000-square-foot building on Nine Mile Road are dangerous and cannot be occupied until extensive renovations are completed, the inspectors said. Thu, Mar 29, 2012 : 2:28 p.m.
&quot;Authorities&quot; who were in power and who approved previous additions and renovations, were later trumped by &quot;new authorities&quot; who implemented new rules and decided to recind previous approvals AFTER the previously approved work was completed - for years! No discussion, no compromise - just heavy handed authority by a group of self-interested parties. Hundreds of thousands of dollars worth of work, to meet regulations imposed after the fact, to be performed by &quot;approved&quot; vendors, at inflated prices, or . . . . . OR, the township forcloses on the property, confiscates it, and use the property as a recreational facility. Hmmm Is there a hidden agenda here? Perhaps led by the &quot;we know what is best for others&quot; and &quot;we don't like a bar here&quot; crowd? I'm sure that's not possible. We've never seen the government intervene to control people's lives before. Where is the help for this small business owner? Where are the low/no interest loans? Where are the variances, grandfathering, and compromises afforded others? Instead, the attitude is - just shut down the revenue producing side of the business (not to mention the tax producing ability) to insure the owner cannot afford (1) to do the upgrades and (2) to keep up his payments for mortgage and expenses. Seize this private property, convert it to public and take it off the tax roles. Makes so much sense. Your government in action - &quot;seeking legal counsel to decide how to force resolution&quot;. How do you taxpayers in the township feel about that good use of your tax dollars - lining the pockets of an attorney. The township may end up with the property, but it won't be cheap. Wake up folks. This is just a glimpse of the future. Tue, Mar 27, 2012 : 12:13 p.m.
And it's still in Whitmore Lake, which is in Livingston county. It's no more &quot;Ann Arbor area&quot; than Saline. Tue, Mar 27, 2012 : 7:35 a.m.